my weeks are nonstop. busy is good. 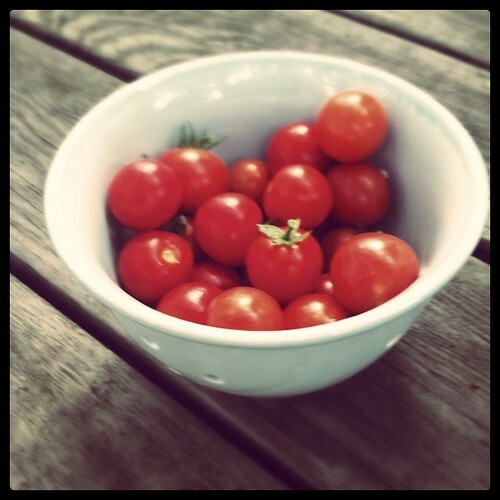 making time for the plentiful things. savoring long walks with the dog, and morning runs without a jacket. catching up with friends and longing for the beach. making the farmer's market a routine. reading a chapter on the porch whenever a spare moment strikes. headed to the lake for a quick northern minnesota weekend. hoping for a few moments of tranquility. 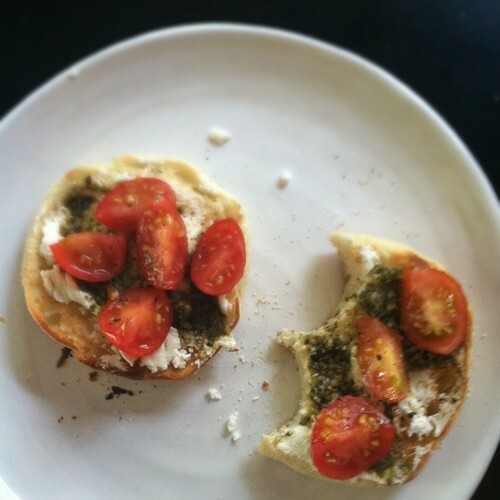 picked cherry tomatoes last friday morning and sliced them to top an english muffin with goat cheese and pesto.